WikiLeaks has been condemned by British and U.S. officials for publishing a secret State Department inventory of sites across the world deemed vital to American security. The document, dubbed the Critical Foreign Dependencies Initiative according to a report in The Telegraph, lists everything from British pharmaceutical factories churning out vaccines and insulin, to a Bauxite mine in the African nation of Guinea. The State Department reportedly asked American diplomats around the world in 2008 to file what is essentially an inventory of key sites in their post countries. 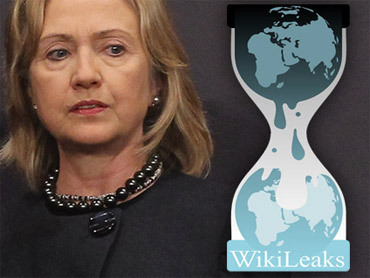 The document was signed off by Secretary of State Hillary Rodham Clinton, and although much of the information contained was already in the public domain, officials in Washington and London have been quick to condemn WikiLeaks for publishing it, calling the act evidence of the organization's willingness to potentially aid terror groups in its mission to reveal U.S. secrets. Sir Malcolm Rifkind, a former senior British member of Parliament and current chair of the Commons Intelligence and Security Committee, told The Times that WikiLeaks' decision to publish the document was "further evidence that they have been generally irresponsible, bordering on criminal." "This is the kind of information terrorists are interested in knowing," Rifkind told the British newspaper. WikiLeaks defended the release of the list, saying they had not given the precise location of any of the "critical" sites in question, and that the document was further evidence that American envoys were acting outside the parameters of normal diplomatic work to gather "intelligence" on their host countries. The leaked cables, according to The Telegraph, show the directive to U.S. embassies made it clear they should not consult host governments while gathering the information to build the list for the Departments of Homeland Security and State. WikiLeaks released diplomatic cables last week which revealed that the CIA was behind a State Department directive to gather information on U.N. officials. "This further undermines claims made by the U.S. Government that its embassy officials do not play an intelligence-gathering role," WikiLeaks spokesman Kristinn Hrafnsson told The Times. "In terms of security issues, while this cable details the strategic importance of assets across the world, it does not give any information as to their exact locations, security measures, vulnerabilities or any similar factors, though it does reveal the U.S. asked its diplomats to report back on these matters." Philip Crowley, Assistant Secretary of State, gave The Times what was just the latest condemnation of WikiLeaks actions to come from a U.S. official. "There are strong and valid reasons information is classified, including critical infrastructure and key resources that are vital to the national and economic security of any country," he told the paper. "Julian Assange may be directing his efforts at the United States but he is placing the interests of many countries and regions at risk. This is irresponsible." Assange, the founder and figurehead of WikiLeaks, has called on both President Obama and Clinton to resign following the revelation of the personal information gathering at the U.N., which he claims both senior officials approved. Also among the hundreds of sites listed in the Critical Foreign Dependencies Initiative are military industrial facilities and the entry point for a massive trans-Atlantic communications cable in Britain, key shipping lanes and natural gas facilities pipelines in the Middle East, and a smallpox vaccine factory in Denmark. According to the Telegraph's report, the leaked cable went so far as to list the names and phone numbers of two State Department staff in charge of coalescing the information for the initiative.